Three Match Test Series between Sri Lanka and West Indies is drawn by 0-0 on Sunday 5th December as third match between both the teams was also drawn due to massive rain on different days of the match. Not Even one innings was completed in 5 days due to rain and West Indies made 303 runs for loss of 8 wickets when match was ended on 5th day. 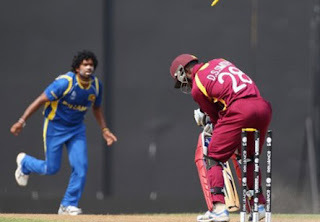 First two test matches where also drawn between Sri Lanka and West Indies so this series has resulted in 0-0.